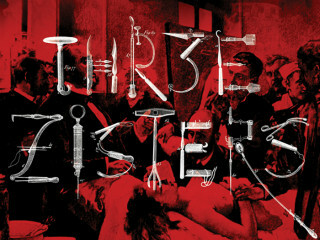 THR3E ZISTERS is a modern adaption of Anton Chekhov's Three Sisters that explores the conflict between performing classic texts and the changing roles of gender and performance in contemporary culture — oh, and the sisters are zombies. In this version, the three sisters have long been dead and buried. Vershinin, Tusenbach, and Suleny exhume them with the hopes of creating the perfect women for their pleasure. The sisters, unburied and ready to adapt to a new way of life, learn that there are already very stringent expectations in place for their arrivals. $20; Thursdays are "pay what you wish."